The bottom of the light near the charging port is made of translucent plastic, allowing some light to glow through. Planet Bike reports that the glowing section is on the bottom to help illuminate shifters, bike computers, and other items on the handlebars. In my experience, the amount of light actually emitted from the bottom is insufficient to really read anything on your handlebars. Riding with the light mounted near the center of the handlebars, I was unable to readily make out the numbers on either my left or right shifters. Relatively little light is actually emitted from the underbelly port – enough to provide minimal side visibility, but much less than is emitted by lights with side visibility cutouts that are integrated with the main reflector, such as on the L&M Urban series. The Blaze XLR uses a mini-USB port to charge its internal lithium battery. With many lights moving to the increasingly ubiquitous micro-USB connector, it's somewhat surprising that Planet Bike would select the larger and less common mini-USB. While you're likely to find a spare micro cable almost anywhere people charge cellphones, I rarely see mini cables in public. That being said, it's easy to stash a spare cable in your pack and use it anywhere a powered USB port is available, but I'd prefer to have the more common adapter just built in to the light. The light reached the FL1 Standard threshold of 10% of initial output after 2:25 hours, just shy of the 2:30 hours claimed. (Planet Bike stated in an email that they test to the FL1 Standard, though they do not use the standardized markings nor is there any reference to the standard on their website.) The light died completely just after 2:30 hours. Beam distance decreased approximately linearly for the first hour and a half, dropping off more rapidly in the last hour. 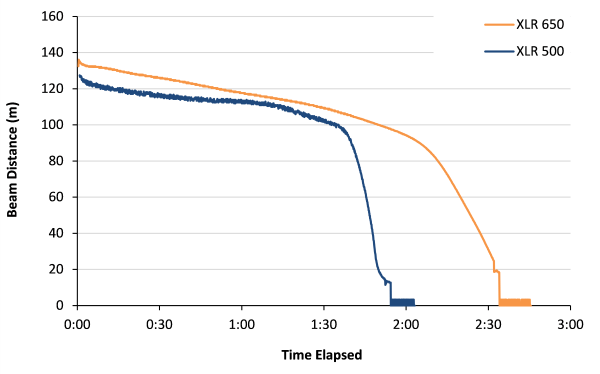 The output profile indicates that the light does not have well regulated output, with the beam distance dropping by over 18 meters in the first hour. 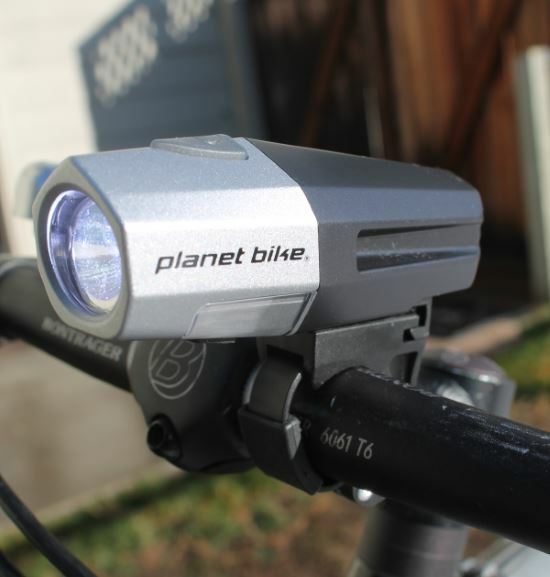 I'm a big fan of Planet Bike's taillight mounts, but their headlight mount has serious usability and long-term reliability problems. 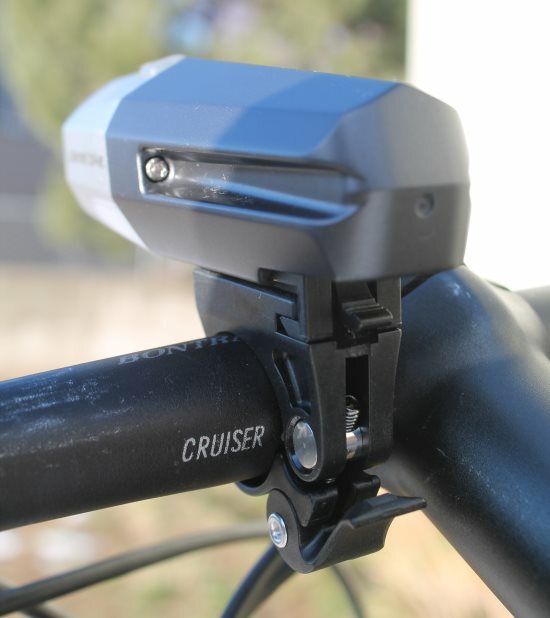 The mount adjusts to different handlebar diameters by pushing a sliding plastic band into the mounting plate. The band has a sawtooth pattern, much like a ziptie, to prevent the band from loosening and sliding out. Unfortunately, it's nearly impossible to loosen once tight. I've destroyed fingernails several times trying to adjust Planet Bike mounts in the past, and while a flathead screwdriver can be effective in prying open the locking mechanism, it's easy to damage the mount in the process. The strap is secured by a screw with a lever on the end that holds the open end of the plastic band. Even when tightened the lever is loose and prone to working its way open. This combination results in an infuriating mount that comes loose quickly on one end while being impossible to loosen on the other. If you do decide to purchase this light, I would strongly recommend buying a Portland Design Works mount from their spare parts store or look for one at your local bike shop. Their Mission Control and Mission Control 2 brackets are both compatible with Planet Bike headlights, and are much more user-friendly. The placement of the mount results in a slightly front-heavy package, which can cause the light to dip forward when passing over particularly bumpy terrain. The front of the light is heavier than the rear, but the mount attaches to the light near the rear of the light. 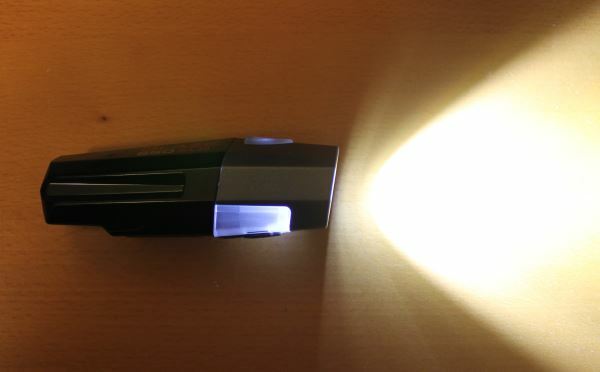 The Blaze XLR is operated by a single button on the top of the light. The button takes a fairly firm press to activate, and is not as tactile as some other lights' buttons. The button is triangular, but must be pressed on the base of the triangle to activate. The stiffness of the button makes it more difficult to use with gloves, although not impossible. The button activates instantly (no press-and-hold to turn on to prevent accidental activation), but a button lockout mode is available. If you press and hold the button for 5 seconds, the light will flash 3 times and lock. To unlock, press and hold the button for 5 seconds again. This mode is useful when transporting the light in backpacks or other places where accidental activation needs to be prevented. The light has a mode memory as well, and will return to the same setting it was last used in when turned back on. Compared to Planet Bike's older AA-powered Blaze lights, the Blaze XLR series is a big step up in terms of performance. Relative to other rechargeable headlights available today though, it's a fairly average light, providing similar output, battery life, and general features as dozens of other lights. The mount in particular is a sore point which holds this light back. To remain competitive, Planet Bike seriously needs to redesign their headlight bracket – it's been a source of complaints for many years. The translucent bottom piece is a clever way of improving side visibility, but not enough light gets out to illuminate handlebar-mounted equipment, and the safety improvement is minimal due to the small amount of light emitted. Bontrager Ion 700 (MSRP $100). Our full review isn't out yet, but it's a new favorite that'll likely be on the Recommended Headlights list soon. Better beam quality, more versatile flash options, a sturdier mount, and more effective side visibility. Light and Motion Urban 650 (MSRP $130): A bit more expensive, but a premium quality light. One of our favorite mounts, and top-in-class optics and side visibility. 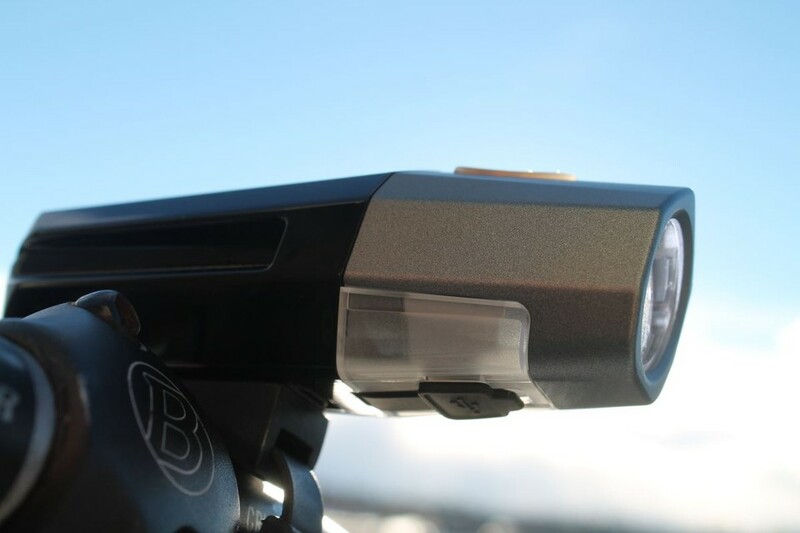 PDW Lars Rover 650 (MSRP $110): Side visibility is worse than the Blaze XLR, but the mounts (which are compatible with Planet Bike lights) are much better. Otherwise the lights are nearly identical, and I believe they may actually be manufactured in the same contract factory.